Tennessee Governor Bill Haslam talks about education and his budget to the editorial board at the Times Free Press. NASHVILLE, Tenn. — A long-delayed effort to construct a new building for the Tennessee State Library and Archives would be funded under Republican Gov. Bill Haslam's budget amendment proposal released Tuesday. Finance Commissioner Larry Martin said Tuesday that the combined $40 million from the state and $10 million from the Secretary of State's Office represents about half of the projected cost for the facility. The second half of the funding is expected to be included in next year's spending plan, Martin said. The Library and Archives' current facility is 65 years old and has faced moisture issues and space limitations. The new facility is to be built across from the new state museum under construction near the state Capitol in Nashville. The budget amendment represents Haslam's final adjustments to his $37 billion annual spending proposal. The amendment includes $55 million to jumpstart the governor's road and bridge building program. The money is meant to offset the Legislature's decision to phase in a gas and diesel tax increase over the next three years. 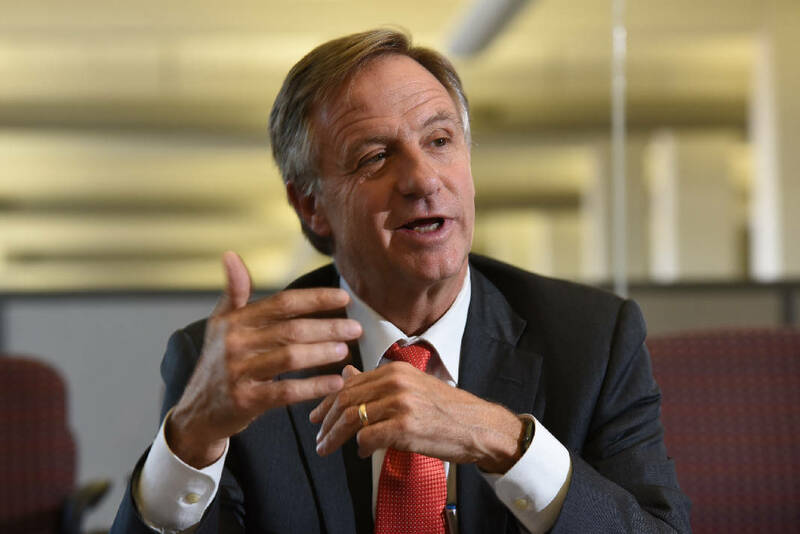 "We can be the state with the lowest taxes and the lowest debt while providing Tennesseans not only with access to opportunity but the tools to be successful, like a safe and reliable transportation network that supports long-term growth," Haslam said in a release. WHITEWATER RAFTING: A 20-year deal with the Tennessee Valley Authority to keep the Ocoee River flowing during whitewater rafting season. The state would agree to spend about $11.8 million to reimburse the federal utility for revenue lost from forgone hydroelectric power generation. GATLINBURG FIRES: $10.7 million in disaster relief for Gatlinburg and Sevierville in the aftermath of the December wildfires that left 14 people dead. EDUCATION: A two-year program costing $10 million annually to support programs at priority schools. DISABILITIES: $8 million to increase salaries for Department of Intellectual and Developmental Disabilities providers. MENTAL HEALTH: Spending an additional $2 million on prevention, education, treatment and recovery services within the Department of Mental Health and Substance Abuse Services. The additional money would allow the agency to serve 28,000 more clients.